With the arrival of spring, I’m ready for flowers and all things garden. . .
And I’m waiting not-so-patiently for Mother Nature to get the ‘memo’ that winter is over! Peonies are just starting to sprout. . .
And I’m looking forward to their fragrant blooms arriving in May. with a little giveaway. . .
And giving away three Garden Apron and Trowel Gift Sets. One peony design, one bunny design, and one with birds, butterflies and blooms! The gift sets include a colorful half apron with pockets. . .
And include a sturdy trowel with steel blade and wooden handle. There is also a handy a velcro tab on one of the pockets to hold a cell phone. For a chance to win an apron gift set, leave a comment telling me your favorite garden flower. For a third entry, Pin a photo from this post and leave an additional comment telling me so. The winners will be chosen April 9th. Our temperatures are climbing back up to the 70s later this week. Hope you’re seeing some signs of spring where you are! ← Easter Basket Cupcakes: As Fun To Make As They Are To Eat! Peony is my favorite Spring flower. Our garden has many varieties but I do like our tree peony the best! I wish the flowers would last longer as we all know the blooms are fragile. It’s hard to narrow down to one favorite. I love Peonies, I recently discovered a darling flower with lacy edges, and a curly stem. Scabiosia (spelling???) I saw shades of pinks and a lavender. Might be my new fav. My favorite garden flower is the lilac. It’s so beautiful when a mature bush is in full bloom! And the scent is wonderful. Second would be iris, then hyacinth, then daffodil, then rose. I love them all! I’m especially amazed by the beauty of your peonies. Thank you for sharing the pictures. I can see why you are eager for them to blossom! What a great MONDAY morning pick me up. Love love love all your blogs. Yours is my FAVORITE. Favorite garden flower…that would be hydranga…more than likely….it is so hard to choose…I have a perennial bed I started years ago and they are all my babies, either started from seeds or very small plants…love and care for them all! My favorite garden flower is the Annabelle hydrangea. It blooms in June and for a couple of weeks that part of my garden is snow white. Then it turns a pretty green and stays that way for most of the summer. In the winter, it dries to a light brown and adds winter interest to the garden. I also love to use it in my indoor bouquets. Hydrangea float my boat through summer. So many to choose from and they are great for cutting and drying! This is so beautiful…love all your posts. I could live in your garden shed 8) I love sunflowers. We grow them on the outskirts of our garden…like they are standing guard. I am a long time subscriber to your beautiful blog. I love peonies! I just wish I could grow them, but I cannot. So I will enjoy yours. Love your blog! I also love hydrangeas and peonies. I just pinned the photo of the inside of your potting shed with the peonies in bloom to my “Spring Tablescapes” board on Pinterest. Thank you for the giveaway! I am eager to begin growing my own flowers and could use the apron and tool to help me get started. Pansies are my favorite flower, because they bring a bright spot of color to winter here in the South! I am always eager to see your latest post, and draw inspiration from your garden, potting shed, tablescapes, and recipes! I am always so inspired by your posts and pictures and look forward to each one. Since I won the cookbook I won’t enter to win this darling give away. As for my favorite garden flower, it has to be the many varieties of hydrangea. I have kept my sweet husband busy this spring building frames around my numerous bushes to protect their tender leaves from unexpected freezes. But following closely behind my love for hydrangea is my love for peonies. Happy spring. Today I am making your Easter bark candy to take to a friend recovering from surgery, then later this week I will try your cabbage head arrangement for our church Easter brunch. My favorite flowers are daisies. They are such a happy flower. My favorite garden flower … now that isn’t easy to answer! I guess it would depend on the time of year and what’s blooming. But if I must choose it would have to be be the lily. Beautiful colors and intoxicating fragrances. After that, roses and peonies! Geraniums make me happy. They are a staple in my garden each year even though the struggle through the harsh summer weather. I baby them like no other plant during that time. Thank you for always providing inspiration and beautiful images! My favorite bloom would be the lilac with its wonderful fragrance. I love the cell phone cover! So I pinned the image of the apron with the phone. I am a subscriber. I frequently use your recipes, too. I pinned the picture of the peony apron to my Garden Pretties board. They’re beautiful flowers and such a cute apron too! My favorite Spring flowers are all flowers that bloom in the Spring but especially my Oriental Peonies. They are just exquisite. As a subscriber, I most enjoy the updates from your garden throughout the seasons. I’m working on a collection of watering cans to hang next to my potting bench that will mimic yours, I hope. 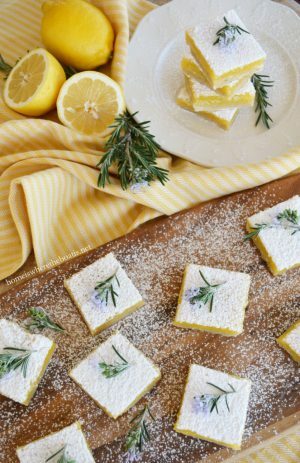 Superbells Lemon Slices are my favorite flowers–their hardy profusion lasts all summer, they’re joyous and make me laugh and smile every time I see them. GM Sunshine! Let it shine and open all of our blooms! Yesterday I was going through photos of last year’s gardens. Oh so beautiful. And oh my, sooo much work 🌸. My favorite flower would be Dahlia. I was lucky to have a Veterinarian who gardened. He is known for his beautiful gardens of Dahlias. He gave me bulbs/tubes of dahlias in many colors. Just so pretty. I never had luck with them but he taught me how to grow them and my garden was full! Placed with pretty Lavender…oh my. Gardening just fills your soul with sunshine! Happy Spring! What a lovely giveaway Mary! My favorite flower is bee balm in traditional red. Any flower with a scent is my favorite. My favorite flower is whatever is blooming! Or for the memories and the fragrance lilacs. I am pinning the spoon with the beautiful garden saying for my third entry. Your site makes me smile! Spring is such a happy time and we are all looking forward to the blooms to come! I think the Blue hydrangeas is my very favorite. The large blue blossoms and green leaves always catch my attention. I love to cut long stems of them and place in a tall case vase with blue and green sea glass in the bottom. This is one of my favorite summer arrangements to enjoy. It is difficult for me to choose only one garden flower as a favorite. I will say daffodil. The reality is I would create a bouquet of Spring garden flowers! Can’t think of a flower I don’t love, but the peony is a favorite also. When my honey’s parents moved away from the farm in SD we dug up her many peonies and brought them to CO to live with us. At that time they were well over 50 years old and we’ve been enjoying them almost 30 years. We also brought some of her iris. All of them have been a joy and added beauty to our garden plus a sweet reminder of my much loved mother in law. Thank you for the opportunity to receive the apron and garden tool. It would be put to good use. Peonies are my favorite garden flower, so graceful and colorful! Oh, Mary, those aprons with the tools are adorable! For those of us who work in the garden, we know there can never be enough pockets on hand to hold those important tools – great gift! My favorite flower? Must be the iris – so tall, so regal, and fragrant too. I love it when mine bloom. Hydrangeas!! Love all colors – blue ,pink ,or white !! Thanks for your Garden Shed posts ! I just adore peonies. My grandmother had many bushes. Of course now there are many more varieties. I took one of her peony bushes and planted in my own yard. I was sad to leave it when I downsized to a condo. Do I have to choose a favorite? Now I am anxiously awaiting the beautiful bearded iris to awaken from their winter slumber. Also true to my Southern heritage, peonies are at the top of the list. I love your blog. My daughter lives on Lake Norman as well. Here’s waving at you across the lake! My favorite garden flower is Hydrangas. Love the many varieties and colors to make flower arrangements. Your posts have given me many ideas…thanks! Hydrangea is my favorite. Can’t wait for Spring to see all the pretty flowers ! Happy Monday! My favorite flower is the elegant daisy. It’s sunshine face always brings a little happiness to my day😊. Happy Monday, Mary! It is cold and dreary this morning! I don’t think spring has gotten the memo that winter is over! What fun giveaways! I can’t possibly pick a favorite flower, it is always the ones that are currently blooming! I loved every photo and our common interest of the love of gardening! I love peonies and azaleas……I was in Georgetown this weekend for the plantation tour and so many spring flowering bushes were in bloom! Can’t wait for the Spring to come our way! I cannot pick just one flower that I love. I plant only the flowers that I “love” in my garden. Each season brings on my “favs” of the season so I must say that I just love working in my yard and that I love flowers with a passion! My peony plants are coming up and I always love them paired with anything else in my yard. I keep crystal wall pockets filled with flowers from my yard all year round. My different Camilla’s, jonquils, There is always something in bloom even in dead of winter in Atlanta. My favorite greenery is “Yew” shrub. I use it in all my flower arrangements and it just keeps on giving! 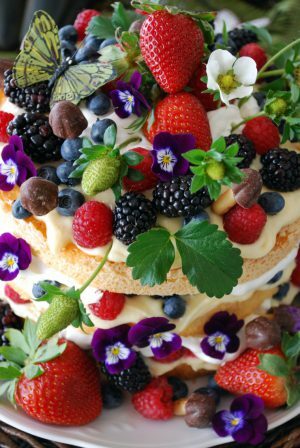 Love your recipes and ideas and love getting your posts! I subscribe to your wonderful blog and look forward to seeing your posts everyday. I love flowers, all kinds. I am fascinated with Raniculas (sp?). Can’t wait for the weather to finally settle down to start gardening. My favorite flower is the gerber daisy. I’ve had mixed results growing it in my garden, but I still love it! I said I posted the pink apron with the spoon and meant to say I pinned. 😃 Happy Spring! I love peonies…..their colors and fragrance :) I refrigerate some buds every season so I can enjoy a bouquet after their season is over. Oh, so many favorites! Hydrangea, peony and iris would be my top three! What a breath of fresh air! Seeing this post makes me want to go out and start digging in the dirt. However since I am in Ohio I will have to wait for a little while yet. Nasturtium’s are my favorite flower because they remind me of my mother. I love the apron gift set and could put it to good use. The pockets would be so handy to have. My favorite flower?…….that is really hard to nail down. I love all flowers! But, in the spring around Easter, there is nothing that can beat my Peggy Martin rose! Beautiful post. Spring passed us by and we’ve gone directly to summer … UGH! I love zinnias … they make me smile and bring fun memories of my Granny. Cute give-a-way that would be put to happy/good use! I subscribe (email too), follow — all those things … and I pinned too! Yee-Haw! My favorite garden flower is my oakleaf hydrangea. Blooms are huge and it makes quite a show every spring. I think I would have to say my favorite flower is the Peony followed by Hydrangea’s. I have not had any success growing Peony’s. My part of Pennsylvania is very “rocky”. When you have to rent a piece of equipment to install a mailbox because it’s like drilling through bedrock, you know you’re in trouble! However, I have had success with my Hydrangea’s and love seeing them bloom. The color’s are gorgeous! The most beautiful Hydrangea’s I’ve ever seen were during a vacation to Nantucket. Amazing how they grow there. My favorite flower is the tulip. Love your blog and the shed! Peonies are my favorites, unfortunately I do not have enough sun for them to bloom. I have tried but no flowers. At least I can purchase some for my enjoyment. Oh wow my favorite flower? Just one? That’s very hard but it may just be the peony with oak leaf hydrangea being second. I also love iris. I LOVE the basket hanging on the potting shed door–so elegant and so happy! Thank you for your delightful blog and generous offer! It is almost impossible to choose only one favorite flower….. but I will say it is the peony….such beautiful colors. The hydrangea is a close second. I hope you will direct us where to purchase the apron gift set if we don’t win one….this is a got to have! Your shed and environs truly are inspiring! Great job! My favorite flower is the ranunculus, which,unfortunately, I can’t grow in my area. Love the apron set. My favorite flower is sweet pea. I pinned the photo with the garden saying in the chalkboard frame. Love it. I love larkspur. I’m especially fond of the vibrant blues and purples . It is wild and unpredictable in the garden and stunning when captured in a white vase amongst my blue and white decor. I love your beautiful blog and truly await your seasonal inspiration each day! Thank you for the great gift away offer ! I love❤️ Your gardening post! Absolutely love the chalk quote on the door! One of my many favorite flowering plants is a lace cap hydrangea! Had one for many years when I lived in North Carolina! It’s a tie for my garden favorite, Nikko Blue Hydrangeas and Peonies and I’m blessed to have both in my garden. My peony is about the size yours is in the picture right now and I’m hoping will bloom at the perfect time to be part of my daughter’s wedding. If I won I’d give it to my daughter who is also an avid gardener and is going to triple the size of her vege patch this year! Her favorite of your giveaways would be the bird set, then the bunnies. I have been a subscriber for years and love your blog. It’s the only one I follow. Still sad for your loss. I’ve been through it and I hope you are doing well. I know it’s hard. So many flowers I love. As far as gardening…I love black-eyed susans. Living here on the panhandle of Florida it is HOT. They seem to thrive really well here. I pinned the photo of your chalk board with the green apron set I love. It’s so hard to choose just one flower! I love roses probably best. Your blog always inspires me so. Thank you for all the beauty! My favorite garden flower is any colorful one with a sweet fragrance! Thanks for the beautiful pick-me-up this morning with your post! Mary, Although I do love Peonies, my favorite has always been Zinnia’s. I pinned your limelight hydrangea. I hope to find some this year! I pinned ‘In the garden my soul is sunshine’ spoon picture. Love that and so True!! I’ve subscribed to your blog for years 🤗! I love that quote! I love so many flowers, but if I was going to pick a favorite it would be sunflowers. Thank you for the change at your giveaway! Your garden is stunning! My favorite flower is the daffodil, but sadly, they don’t do well in central Florida. However, Gerbera Daisies are so bright and cheerful that I would have to say that is my favorite flower that does grow in my area. You’re so generous, Mary, and your photos and recipes are gifts to us. I’m not sure that I can pick a favorite flower. Right now it’s any flower that the squirrels won’t eat!! I had a basket hanging on my fence filled with colorful, annual verbenas, and I went out to water them, and their flowers were gone, gone, gone! I’m loving the cherub in your garden peeking out…sigh! I love dahlias. They come in so many colors and as each flower blooms the colors change a little so it’s like a little surprise when they blossom. P.S. Love all your peony pictures, they’re one of my favorites also. I would have to say hydrangea, roses and my deep pink camellia. It already has buds and is just waiting for warmer weather to bloom! Hydrangea would be my favorite flower that I can grow in the garden. I’ve not tried Peony because I’m told it doesn’t grow well here but love the look. Thanks for the opportunity! AS a subscriber, I adore your blog! I smile every time you send a post. ONE of my favorite flowers is the hydrangea. I love how full they get, the beautiful colors, and that I can dry them for use around my house throughout the year. Thanks for the great offer of the apron and spade. Have a blessed week! My favorite seems to be whatever is in bloom and right now the daffodils and tulips. Can’t have rough in my garden or in the house! What a beautiful apron! My favorite garden flower is cleoma and pink cosmos. Your garden is always gorgeous…. hope warm weather comes soon. Asking me which flower I love most is like asking me my favorite grandchild. As a person who has a deep love for gardening, it is just impossible. My peonies look just like yours..peaking out their tall heads. My bleeding hearts are also up. My hellebores is so beautiful. I loved your quote. It is so true. This is a wonderful giveaway. I really enjoyed photos of your beautiful gardens and potting shed. I go back and look at my photos and hope they will be anything like last year. God Bless and have a wonderful week. My favorite flower is hydrangeas . There remind me of times in the past . Ahhh! Your blog is spring! I love the darling little Johnny Jump Ups. They peek out from under the last crusts of snow, smiling with happy yellow and purple faces. I know sometimes they wander into other flower’s realms, but they just want to visit!! Keep posting your beautiful pictures of your garden and shed, they are inspirations and lovely to enjoy. Your pictures of your little ones are a smile in the making! How do keep them out of the garden? My two fur babies take the garden “BED” to heart and love to laze on the blooms. May Spring find you soon! In my garden, my favorite flower is on the long blooming Shrimp Plant (Justicia brandegeeana). They last all summer long, and are an unusual center piece to my flower bed. And, thanks for another wonderful giveaway. My favorite flower is a red zinnia. Not only does it attract butterflies but also bees. It blooms till frost, easy to grow and attracts my attention as well. You can see a picture that was taken in my garden this past summer on my web site. The web site did not show up so I am trying again. The potting cottage is just fabulous! My favorite garden flower is grape hyacinth. I have always loved purple, and they add terrific little splashes of color in unusual places. WONDERFUL giveaway! I’ve followed your blog for a very long time. I think it is close to eight years. Mary, it was 80 degrees yesterday and 60 today! It is very cloudy and dreary so your pretty post has brightened my day. I’ve never met a flower I didn’t like but I still would have to say hydrangeas if I had to pick a favorite. Have a wonderful week. Can’t wait for your peonies to bloom. I think I must be one of the fickle flower lovers. I love them all! Whatever flower shows it’s brave little face becomes my favorite. Your potting shed is shear joy! Such a happy place. Thank you! I love Virginia Blue Bells! My favorite flower is Hydrangeas. But I also love the old fashion flowers of my Gandma”s garden; peony, tulip, lilac, sweet William, phlox, poppies and iris. I think I got my love of gardening and green thumb from her. A couple of years ago, I planted some cannas because I wanted something tall and colorful. I had people stop in front of my house to ask what they were because they were so beautiful. I have lots of favorites, but I have to say that it’s fun to have a showy, tropical-looking splash in my garden. The sunflower. How can you not be happy looking at sunflowers? My favorite spring flowers are lilac and peony. They were also my Mother’s favorites. She’s been gone for many years but spring flowers bring memories of her and her love for them. Stargazer lilies are my favorite as they remind me of my Mom. I see chutes coming up already and the roses have their leaves already. We are so ready to play in the dirt! 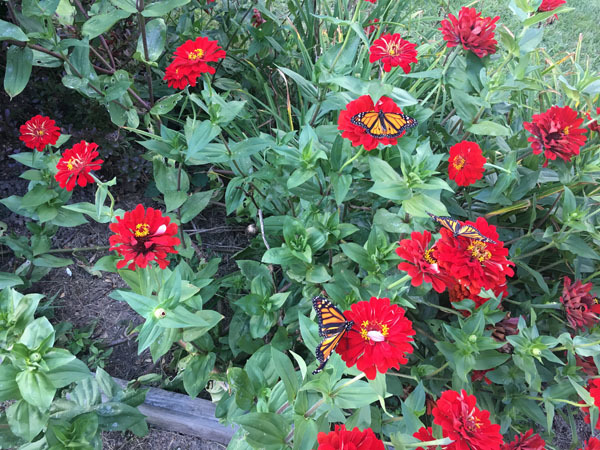 We want to see hummingbirds and butterflies flitting from zinnia to zinnia! I got my love of flowers from my Mom & I am so grateful for those precious memories we shared together. Love your website! The photos are always so inspirational. Thanks for sharing with us! I would have to say peony and hydrangea are my absolute favorites, although this year I’m really appreciating my snow drops. I so enjoy your emails and will be adding several pins from today’s post. Please let us know where we can purchase these fabulous sets, just in case I don’t win! Mary, thank you so much for this happy and wonderful post. Your pictures always bring a smile to my face. The aprons and tools are so beautiful!!! I love all the designs. My favorite flower are lilacs with peonies a close second, I love pairing the two together – it truly means spring to me and always brightens my day. My favorite garden flowers are my loved peonies. I have received many as gifts over the years as far from Vermont down to NY where I reside..I wore a wreath of peonies on my head for my wedding….They give me so much pleasure..
My favorite is lilacs. Beautiful! Love, love your blog and would love to win one of these pretty garden aprons and trowel sets. My favorite spring flower is the peony, the tulip, the daffodils, and anything blooming! I’m so ready for some color and sunshine and can’t wait to get my hands in the luscious dirt and plant something with my granddaughter Sophie! Have a blessed day! Mary, you are asking me to name a favorite garden flower? Well, depends on the season, but since this is spring, and my tulips are still in bloom, I’m going to say tulips. I love the way they sway, the way they change as they open, and the happy spring color they bring to the garden when most everything else is just coming back ffrom winter. Your gifts are absolutely wonderful. I could certainly use one of those garden aprons. What a clever idea for the gardener, especiall one my age who is constantly forgetting where she laid down the trowel or scissors or ???? Thanks for the opportunity. Each one would delight any gardener, but those bunnies are adorable. What beautiful garden sets! Thank you so much for such a thoughtful Spring giveaway!! My favorite garden flower is they hydrangea. I have many of my gardens just full of them. Some years they are pink, some years they come up more purple and other years more blue. And I love every color they come in!! My favorite garden flower is a peony! Love the fragrance! Of course I’m a follower, a follower from way back! I certainly hope you never decide to retire from blogging! You are my morning happiness! And, yes, I follow by email as well! Posted the lovely pink apron on my Pinterest board Cottage Gardens. Thanks for the opportunity to win one of these lovely aprons! I pinned that delightful quote and several others – your shed with it’s pretty plantings, the quote on the spoon, and that wonderful garden bench. Thank you and happy gardening. I love all flowering plants so picking a fav is so difficult. As someone who has loved gardening for some time I’m sure I’m not alone when I say this. Hydrangea are high on my list as are roses, peonies, lilacs, lantana. Peonies by far are my favorites. Mine are close to 100 years old…I moved them 18 years ago to my current home where I had planted them 16 years earlier. I got them from a 98 year old lady out in the country who was still tending them in the yard she grew up in. She and her garden are both gone now, but a piece of her still lives to remind me of the joy of sharing the love of gardening. My favorite is irises. They bring color and hope of Spring! What an awesome giveaway, Mary! Ummm, only one favorite flower… I’ll go with lilies, but I have lots of others too. Thanks again, and happy gardening! My favorite flowers are in the Penstemon family. I live in the desert and many thrive in spite of drought and attract hummingbirds. Pinned to Gingham Gardens on Pinterest! My favorite flower is the memory making peony! Since I was a little girl in Kentucky I have loved their beautiful blossoms and scent. Now after moving to CA I have the excitement of buying bunches every spring to enjoy. Thank you for the beauty you share with all of your followers. Oh my….flower favorite? All flowers!! I love flowers and working in the garden. That’s why I love your blog! I will say Sunflowers speak to me because they look as if they are saying….Hello, I Love You! Thanks for a chance to win the giveaway. It would have to be the bunny one I would choose. When I lived in San Diego, my favorite was fushias in hanging baskets. Now that I live in the desert, it’s lantana, because it’s hardy, colorful and can withstand the heat. Clematis is my fave, and anything that attracts Hummers. Good morning fellow gardener. It is rather difficult to speak of just one favorite flower but if I would have to choose one, it would be the Day Lily. The possibilities are endless in regards to color, shape, design etc. Roses would have to be my faves. I have 16 rose bushes. I have one special garden which I call my memory garden. I planted Mr Lincoln in memory of my Dad. I planted Double Delight in honor of my Mother, and The Love rose for my little sister who died of cancer. Last year I lost my wonderful husband and planted the Veterans Honor rose in his memory. He was very proud of his service in Vietnam. I also love my white Hollyhocks. They make my backyard look like a wedding is ready to take place. Thank you for always brightening my days. Would love to be a winner. Mary, it depends on the season which flower is my favorite! If I had to choose one, I guess it would be the hydrangea. I have been a follower for several years and delight in all you post. Thank you. I especially love the bunny apron! Presently I find myself speechless. We are downsizing from a beautiful 10 acres in VA, that I was able to add as many flowers, bushes and trees my heart desired, to a smaller home in SC with a small backyard and a side courtyard and will be starting from scratch. I thought I would make a list of ‘must haves and favorites’ but ended up filling the page. I honestly could not pick just one favorite…I love them all. I love looking at all your beautiful pictures and think of your beautiful place every time we pass by Lake Norman on our way to SC. Thank you for all your wonderful ideas and thots. Wow!!! What a wonderful giveaway and a secure pocket for your cell phone. Several years ago I threw my gardening pants in the washer with my cell phone in a pocket. It was one of those O NO 😱moments. I am just itching to get started in my garden. My favorite flower is the Sunflower 🌻. I planted them in my vegetable garden and am happy to say they reappear every summer. I can see them from my kitchen window and they just make me smile. Wow! How to settle on my favorite flower…I should pick a rose because that is my name…nahh…Peonies and lilacs. They smell so wonderful and look beautiful together. What beautiful pictures. My favorite flower..blue Hydrangea. I cant pick one flower that is my favorite as I love them all! Love the beautiful photos in your blog. Thank you for sharing. I just pinned the bird design. Blue and green color theme, my favorite. It was a toss up as Bunny has been my nickname since a couple of days after my birth MANY yeas ago. Lilacs! I can finally have them again, just moved from Phoenix to Northern Nevada where the climate is just right for lilacs! My favorite flowers are daisies. I always enjoy reading your blog and looking at all your beautiful pictures. Love your blog, and I love Iris and spider lilies!! Thank you! Just like all your beautiful photos, these garden accessories are so pretty! My favorite flowers are any flowers, but in the spring garden I love violets & lily of the valley!! They are delicate, fragrant, & trigger wonderful memories of my Grammy who gave me my green thumb! I envy your 70s—northern IL is still in the low 40s. I saved the Chalkboard Door to my Pinterest page for sheds. If I won the giveaway I would give it to my Mother who is 93 and still spends much time in her gardens. She is responsible for instilling a love of flowers and gardening in me from a young age. Thank you. I live on a cotton farm in west Texas and I have to deal with the wind all the time! Oh I wish I could grow peonies and azaleas and the other tender plants that you show! If I can grow a rose bush I am lucky! I do love roses and lilacs though! When my iris bloom, the wind quickly whips them to pieces, but I do enjoy them for a short time. Always love your blog and your shed!!! Too hard to have just one favorite. Out of the many, many I love, my two favorite are peonies and hydrangeas. Can’t wait for our warmer weather to get here. It is getting close! My favorite flower is the Matilija poppy. It seems so happy to be blooming. So hard to choose! But I traveled a bit further into the season and decided that my most favorite are my summer blooming David Austin Heirloom roses…especially Belle’s Star…heavily fragrant and oh so pretty! Love your posts! Pinned under Wisteria Acres-Lavender. Hope it warms up soon! My favorite flower is the tulip. It is the first sign of spring. Although short lived, it is strong enough to bloom through the cold winter ground. I love any color of hydrangeas and yellow roses. I enjoy your posts. We still have some snow on the ground (and large piles of snow at the malls)here in Western, NY. It’s supposed to be in the upper 40’s and 50’s this week. Hopefully, Spring is on the way! Pink roses are my favorite garden flower. I’m not the best gardener so I enjoy seeing yours! In Wisconsin our Peonies will be about 4-6 weeks behind yours, which is great because I’ll get all kinds of ideas about how to use them from your blog before they arrive here! Hands-down, Peony is my favorite spring flower. The collection of Peonies at Boerner Botanic Gardens in Milwaukee is what prompted me to take up gardening oh so many years ago.Thanks for making the world kinder with your posts. Favorite flower, wow! That is a hard decision because I love most of them. Red Geraniums and sunflowers would be a favorite annual and lilacs and old fashioned roses a favorite perennial. The pictures in this post are amazing and I look forward to following you and seeing more. I’d be hard pressed to pick a favorite flower but Peonies are right at the top of my list along with lilacs, geraniums, oh my I can’t choose! Love your blog! Never miss it. The inspiration is awesome! Thank you! Oh goodness, hard to pick one, but right now it would have to be hyacinth or spirea (bridal veil as my mamaw called it). Wow. What a tough decision – picking my favorite flower – there are so many I just love!! But I guess one of the ones at the top (besides almost all orchids) would be Bleeding Heart. They never cease to amaze me how delicate and graceful they are. And they just seem so magical. Love it! And I always enjoy your posts! I love Peonies. I planted some last year and they are popping up through the ground, like yours. One is from a lady’s Grandmother and I cannot remember the color. I am looking forward to the surprise. Others are Sarah Bernhardts and a red one. I live in Fairview, NC – half way between Monroe NC and Concord. I do love your posts and receive your emails. Happy Spring! White ginger lily is may favorite garden flower, and I was so surprised to see it growing in gardens of some of the states we lived in, especially in North Carolina! The fragrance never fails to bring up so many wonderful memories of growing up in my home state of Hawaii. My favorite spring flower is the Daffodil. It’s welcoming, bright yellow face is the first I see here in Texas after the bleak winter! I have lots of favorite flowers but I think pansies are my ultimate favorite w/ their sweet faces! I love all flowers, but I think the lowly marigold is my favorite. It really brightens up ay organic garden! For as long as I can remember if I were asked to name my favorite flower I would say the daisy. I enjoy the beauty of all flowers. Thank you for sharing your beautiful flowers with all of us. Hydrangeas would have to be my favorite. I fertilize some for the bluish color and others I leave alone. Love peonies but we can’t grow them here in Ca. Too hot! So I really enjoy looking at all your pics of peonies and your beautiful garden and shed! So hard to choose. I love everything with a fragrance, especially tube rose. I have it growing in numerous places so I am hardly out of “nose shot” when it is blooming. Favorite shrub flower is viburnum. I have several Carlisi (spelling?) and they are amazing when in bloom. Favorite perennials include day lilies (Master’s Cloak), gaura and veronica. I love these beautiful aprons. I am going to go order one for my mom. My favorite flower is peonies. I am also a subscriber. Oh, I pinned he image of the stamped spoon. Cute. Gosh, it is hard to pick one, however, I love snapdragons. They have been my favorites since I was a little girl. I adore herbs and violas. I subscribe to your blog but never receive updates.. Please help!! My favorite flower is the sunflower. But I love anything that attracts hummingbirds. My favorite flower is roses. My dad always tended some for my mother and would get great joy out of growing them. One of his favorite one was a yellow rose bush. He would cut and bring them in for moma to sit on kitchen table. Hi Mary – my favorite garden flower is a peony, although I love them all! I also pinned one of the apron pictures. Love your blog – thank you for keeping me inspired. My favorite Spring flower is Peony and my favorite Summer flower is Calla Lily. Pink Peony is my favorite flower – wish they were repeat bloomers! HOW GORGEOUS THEY ALL ARE!! I LOVE PEONIES!! I LOVE GARDENING! THANK YOU FOR THIS OPPORTUNITY TO WIN SUCH BEAUTIFUL GOODIES! The aprons are delightful! What a joy to garden with such pretty tools. Thanks for the giveaway. I am a subscriber, and have pinned a wonderful picture. I pinned all the aprons. They are gorgeous! Those are so darling! Hydrangeas are my favorite flower. Especially the purple ones. Lilacs are my favorite flowers. I love the different colors , the fragrance ,the looks of the bushes in the garden. I love the birds, bees and butterflies that hang around them. I can’t wait to pick some to bring in the house. They bring back so many memories from picking them in my grandparents and parents gardens. I love lilacs. When I see or smell them they remind me of my mother who we lost 19 years ago. I also love hyacinths and peonies. These aprons are so very pretty. Whoever wins them will be very lucky. Good luck to all. My gracious, I’m late to the party! I love cone flowers for their beautiful purple petals and then their prickly little centers that the birds love in winter. Your garden is always so stunningly beautiful. My favorite flower is a Lily-of-the-valley and I haven’t had any luck growing them since we moved from Missouri. My favorite flowers are gardenias, but I’m usually smitten by whatever’s in bloom! Wow! This is hard. If I could only have one flower it would be a rose. I love roses, each one is so different and the smell is heavenly. Yes, I pinned and pinned but then I always do. I am so excited for spring and summer. Peonies are the favorite, by far. Love to visit your site! Peony is my personal favorite…..I have several white peonies that came from a peony bush from my Aunt home before her house was sold. Each spring I so enjoy the white peonies popping up and smelling their fragrance. They always make me smile and remember my Aunt Catherine :) with much love. Peony is my favorite flower to have in my flower garden and even more special because I was able to get a start from a man (served in WWII, and had the North side of his yard lined with peonies) who died last March at the age of 92. Sort of from word-of-mouth I became some one for older people to hire for lawn mowing and the man I mentioned hired me 17 years ago to mow and take care of his lawn. I always enjoyed mowing along his peonies and would smell them as I went by. I cannot look at a sunflower without smiling. 🌻😊 I am a subscriber of yours, and I pinned this contest also. Choosing one favorite flower is such a big task because I have never met a flower that I don’t like! I would have to say Hydrangeas are my favorite because they just seem to say, “Come sit a spell, have a glass of sweet tea and tell me about your day”. This would put a smile on anyone’s face. Peonies are #1 with me! Love them love them love them. My favorite flower is the beautiful blue Forget-Me-Not. It is the flower of Alzheimer’s Disease. I lost my Mother (and best friend to this disease). What an appropriate name for a Flower and Rememberance of someone who meant so much. I love your emails. They inspire me so much. Thank you for always sharing! My favorite garden flower is the hydrangea. They’re beautiful in bloom and attractive dried at the end of the season! Tough question. Probably hydrangea. But I think I love all flowers. They each bring their own joys in each season. Oh, your blog is so beautiful. My favorite flower is the tuberous begonia. I have a few in the ground, a few in pots, and many in hanging baskets. Your’s is one of my favorite blogs & my favorite flower is the daffodil, especially the yellow ones. Yellow just has to be the best color harbinger of spring! I love Hydrangeas for their lovely bloom and lilac and lavender for their beautiful scents. I pinned your beautiful display of flowers and china in the potting shed. I am an email subscriber to your blog, and look forward to receiving each update. Thank you for sharing. Johnny jump ups (Viola) Reminds me of my grandmother. She also grew fragrant sweet peas. Those aprons are wonderful. HOPE !!!!! I love Peonies they remind me of my mom flower garden , but I have had no luck in growing them for some reason!?! The aprons are so lovely !! My favorite garden flower is hydrangea blooms. I like to dry them for making wreaths and other arrangements that can be enjoyed throughout the year. They remind me of my grandmother’s love for flowers and the times she and I spent in her yard. I love all the flowers in my garden, but Calla Lilies are so artistic! My favorite Spring flower would have to be Daffodils because they are the birth flower for the month of March. My birthday is in early March and they are always blooming by then here in upstate SC. They are such a welcome sight after a dreary winter and they look so pretty when mixed with pansies in containers or flower beds. I got my love of gardening from both of my grandmothers. They could grow just about anything. Such wonderful Southern ladies. Thank you for the beautiful giveaway opportunity. I love peonies, but also Japanese Tree Peonies, daffodils, snowdrops, bleeding hearts and much, much more. Thank you for sharing your gardening photos, as we still have a little snow in the yard! A few snowdrops are almost ready to bloom! Happy Easter! I pinned the beautiful peonies! I have always adored peonies! They are my very favorite flower! They are stunning and have the most beautiful aroma! I love the many beautiful colors of zinnias and gerber daisies. I get your emails so I am a subscriber. Beautiful post once again and I think we’re all ready for winter to be history! One favorite flower is the peony for a summer bloom. I just saw some white peonies on sale at Lowe’s today! However, if it’s December than the Christmas Camilla has my name written all over it! It totally amazes me that flowers can bloom in the winter and be so beautiful…a true gift from the Lord above who works his magic in nature! Happy Spring and Easter! Oh, Wow! That is a tough one……I have so many favorite flowers! I am going to have to pick the hibiscus. My favorite is the hollihock. My great grandmother had them in her garden. Love those peonies. I like all flowers, unfortunately, some ‘take my breath away’ literally. If I had to pick just one, I think it would be the iris. I pinned the peonies and our favorite shelf in the shed. That apron is so pretty. If I tell the best “peony’ story, can I win ?? LOL When I was a teen helping my sister weed one day, she had all these green things with bugs all over them, so I started digging those weeds out. She started yelling because it was her peonies ! So many years ago. Great photos as usual. As an avid gardener it is so hard to choose a favorite flower. Each is special in its own way. My all time favorite has to be Casablanca Lilies–showstoppers and fabulous fragrance! Close behind is Hydrangea and peonies. I love your potting shed and am hoping for one of my own soon. It is hard to pick a favorite flower. But, if I have to it would have to be the zinnia. I have a large area dedicated to them and they come back every year . Always a lovely surprise to see which ones will come up. Love to share . That’s a tough decision, but one of my favorites are Peonies because they are just so easy to grow, don’t require a of attention once established and there are so many varieties to extend their season! Thanks for all your great posts, I have enjoyed them and have given me much inspiration. I love camellias. The first home my husband and I lived in after we were married had several mature camellias plants. Now that my husband has passed on I cannot look at a camellia, especially a soft pink one, without remembering their beauty, and our life together. Hydrangea and peonies would be two of my favorites. All flowers are beautiful. I think lilacs are my favorite – no, lily of the valley – no,peonies, no – iris. I give up – like them all and your wonderful pictures. I am a faithful subscriber who adores the way you put colors together. Many of your photographs actually take my breath away. I would also have to say the peony. I have two in my perennial garden down by the lake. They are pale pink and near a very heavy statue of a sleeping angel curled up in a ball. These planting’s are very special because they were given to me by my sweet momma. She is gone ten years now. I still cannot believe that. She was not much of a gardener herself which is what made her gift so special. Every year when they bloom I take some cuttings and place them in an old crystal vase from my mother and put them right next to the sink at the kitchen window. For that brief time each year I am reminded that she is still with me, much like that angel in my garden. Thanks for inspiring that memory. Peonies! I love their delicious fragrance and gorgeous, full blooms. I found you through the Scoop 319. Love! My favorites are hellebores. And daffodils. And hydrangeas. I pinned the peonies and Ball jars to my Garden board, the amazing quote to Inspiration, and the precious apron to Apron. Gotta love Pinterest! Thanks. Enjoy your amazing day. Choose one favorite flower? That is just downright impossible for me! I love them all! Spring is coming to your neck of the woods! Your gardens are glorious and I know you can’t wait to see them and work in them! We have a different kind of spring here in the desert! The cacti have begun to bloom and its exquisite! Spring in the Desert is something everyone should experience in their lifetime. So what is my favorite flower?!?!? Oh good golly… Soon I will head to Pennsylvania and will be there in time to experience the peonies and irises! But will miss my lilacs!! However out here the saguaro blooms are a delight to see as well as the Easter Lilly Cactus blooms oh and the hedgehogs (a cactus) are beginning to bloom and they are such a delight to see. Happy Spring my friend! 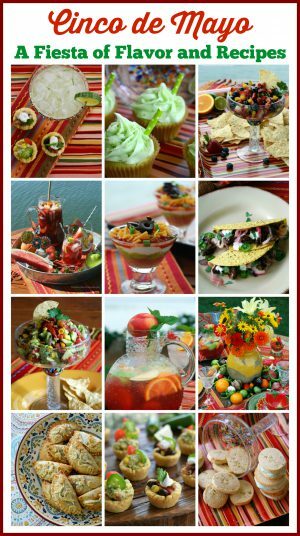 I am pinning your collage to my favorite blogs board and in my gardening board! Love your blog! Such an inspiration! Oh, so many favorites! But I would choose the zinnia. It keeps on blooming, comes in many shades of color, the hummers, bees, and birds like this plant too. They look lovely in any container, served as trim on any dish, and work well in any setting. There is a size and color for everyone! Everyone would think my passion is for roses right now. I am deep into roses, making a quilt of that regal posy for my granddaughter’s graduation from U of Alabama in May. And, even if I love roses for their magnificent colors, smells and performance, my favorite flower would be the incredibly spicy scented garden Cheddar pink. Like “Firewitch”. The sweetest pink pink(!) with those cool blue leaves and that heady divine smell! Thanks Mary, fun to think about favorites. I really debated talking about Shasta daisy too! Ahhh, Flowers! Luckily, we needn’t limit ourselves to just one!! Hooray!!!!! My favorite flowers are Irises …I love to see them in a bed . and I am crazy about the blue apron ….after a long cold winter here in New England it is a joy to see the little green buds in the ground, surely the promise of spring. I am anxious to get out to the flower beds….truthfully even the many colored wild flowers are a joy. Its always hard to name one favorite garden flower. Today I would have to go with the Japanese Iris and then Lilacs. The iris are tall and slender and flower last longer than most Iris. And the Lilacs got back to my childhood days getting to cut them and take into the farm house to put in a Bell jar on the kitchen table. My favorite flower here in MI is a daylily. They come in so many different colors and last forever! You’d be hard pressed to kill one. I posted the pretty pic of that beautiful green apron. Thanks! Hydrangea are a love of mine, in all colors, Ruby slippers to the old Niko Blue. I follow you and get the email so I know when there is a new post. Love all your posts and shed. Love, love, love the apron. I know winning is like winning the lottery so do you mine sharing where you found the aprons? Thanks for all the inspiration you give. I have many favorites! My absolute favorite is a Snapdragon! I enjoy all the colors and its ability to brighten any area. Thanks for offering such a fun giveaway. Those aprons are darling. Love so many different flowers, peonies, lilacs, hydrangeas, lily of the valley, however after moving to the desert, I am really missing all the spring flowers. My favorite flower is the gladiola. My father always had a bouquet of them on the table in the morning when my twin and I would wake up on our birthday. Thank You for this wonderful giveaway. Mary this is a beautiful giveaway. My favorite flower is the lily Of The Valley. Thank You so much for the chance to win this giveaway. I have two favorite flowers. The Morning Glory(this flower always bloomed year after year when I lived in the city),and the Pansy. The Pansy was my mom’s favorite flower because her father loved the flower. I go back and forth between the white Shasta Daisy – I love the simplicity of it (also reminds me of the 70’s when I wore them in my hair) and the lovely peony. I adore your pink peonies. I used to have white with dark pink in the middle (we moved from that house a year ago). For 18 years I watched those buds come up and before I knew it I could smell them in the air. I WILL have peonies again! Thanks for the chance for a lovely gift. Definitely peonies! ! Can’t wait!! My favorite garden flower is the hydrangea. Peonies are my favorite garden flower. And heavenly blue morning glories. Hard to decide if they’re tied or one edges the other out. They are both beautiful! My love for Lily of the Valley came from my mom. Everytime I see one it reminds me of her. Love, love, love you creativity. My favorite flower are peonies. What lovely gifts. My favorite garden flower is definitely the hydrangea which I have loved since childhood. The deer in our area love them too. So we plant vincas, lots of them. Deer seem to leave them for our enjoyment. Whenever they miss munching on just one hydrangea bloom, I clip it and bring it inside to enjoy for as long as possible. I love the beauty of your garden and your never ending creativity. I subscribe by email, and pinned several photos to my garden, and potting shed boards. And my favorite flower? So hard to choose, but I do adore delphiniums, and phlox. Thank you, Mary and Happy Spring to you! Thank you for such a wonderful giveaway. Good luck to everyone! Hi Mary! I follow your blog by email (it’s the only blog I’ve ever subscribed to) and look forward to every post! I pinned a photo of this adorable garden apron to my “Mary Mary Quite Contrary” board and my favorite garden flower? Impossible to choose. I do adore iris, lilies, delphiniums, sunflowers, hydrangea and morning glories, each in their time. I’m sure I’ll wish I included a few more as soon as I press “post”! My dream has always been to have a potting shed one day! I just Love to drool over yours. So Beautiful, and an Inspiration!! My favorite flower is a Hydrangea. I already am a subscriber and receive your emails. I pinned the apron giveaway post to my Pinterest board giveaways. My days are always brighter after reading your posts! My favorite flower is the fern leafed yellow peony. We moved six years ago into a country home, and I saw this yellow peony at our local garden enter. I had never sen a yellow before. It blooms faithfully every year on the north side of our home with giant! yellow blossoms. I wish I had planted more. It is just stunning and everyone is always so amazed when they see it. It smells wonderful too. I am not sure of the varietal name, but I am always looking for it when I visit a new garden center. We had six inches of snow last Saturday, so I am yearning for spring. Happy Easter! Hi Mary! I have to say that peonies and lilacs are my absolute favorites as we had them in our backyard when I was growing up. I now live in the desert and unfortunately they do not grow here! I still have my memories of the beautiful flowers with the wonderful scent! Thank you for the opportunity to win your generous gifts! I receive your lovely blog via my e-mail! Happy Easter! Love your blog! You always have such great posts and beautiful photos. My favorite flower is the rose. Also love our Texas wildflowers, which are in bloom now, Bluebonnets, Indian paint brush and Indian blanket. What a great give away. Hard to pick just one – my favorite flower is the rose in any of its forms. Followed by hydrangeas, cosmos, zinnas, and sunflowers. Always look forward to your “gardening” blogs and pictures!! Favorite flower is the echinacea in all colors!! A workhorse in the pollinator garden as well as through out! Pinned your potting shed photo to my Garden shed Pinterest board! I love daffodils…they just remind me that Spring is here and ready to be the first to bloom for the year! The aprons are adorable, one is as cute as the next one. Hands-down, my favorite is tulips. I love hydrangeas, too, but, tulips top my list! I love flowers, so picking a favorite is difficult. 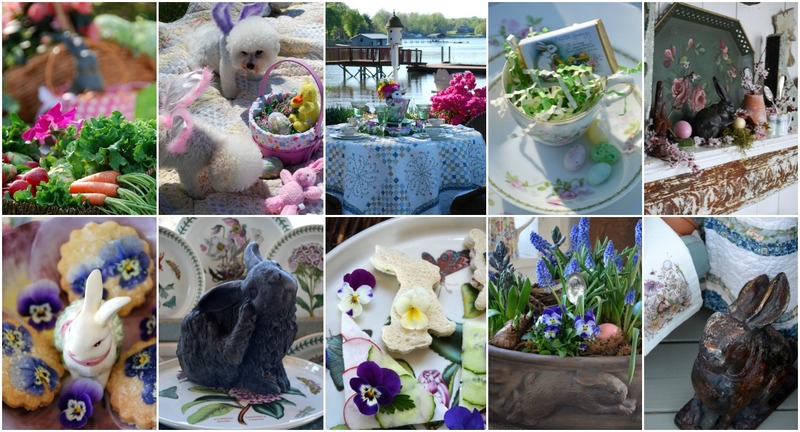 Magnolias, gardenias, tulips, daffodils, peonies, roses, hydrangeas – love them all plus so many more. I have too many favorites to pick just one, but I lost a dear friend and fellow gardener in February. She had a rare disease, amyloidosis, and she suffered a stroke as a result. While we were waiting for a medical team to airlift her to a stroke trauma center, I asked Priscilla to name her favorite flower. Without hesitation, she said, “lily of the valley–I love ’em!” When she passed away a few days later, I imagined her entering heaven through a field of ringing lilies of the valley, with the angels singing a welcome to my dear friend. This is for Patti, who lost her friend. Patti, I love your image of your friend entering heaven through a field of ringing lilies of the valley. From now on, I will make it a point to ask my friends what their favorite flower is. So sorry for your time of grief. Losing a friend is so very difficult. I’ve loved Bachelor Buttons ever since I was little. They’re still my favorite. I pinned a photo from this post on Pinterest. My favorite garden flower is the Mexican Sunflower. I love the vibrant orange color and they last throughout the summer. Absolutely love all your ideas and your potting shed. Thank you for sharing all of this with your garden loving friends. I may be entering the contest too late, but I’d love to win! It’s hard to pick a favorite flower! I love so many of them!! I would say it’s a toss up between peonies (mine already have buds on them) and hydrangeas. Thank you for your wonderful photos and creative ideas. I love your post! my favorite flower is the PEONY…..Love,Love and I too am looking forward to their arrival in May!!!! You are having a wonderful give-away …who doesn’t” love a cute apron? Hope I win! So hard to choose, but have to go with the lily-of-the-valley. I used to hunt for them in the “woods” behind our house when I was a young teen! My favorite flowers are gardenias.tulips and tulips.I enjoy are of your beautiful posts, I have so many posts pinned! I pinned a picture from the blog onto pinterest. The potting shed blogs are always my favorites! Hi, Mary…enjoying your blog tonight and itching to get my fingers in the dirt again! We finally had a warm and beautiful day here near the coast! My favorite flower is the Black-eyed Susan (Rudbeckia hirta) by far! I love that they return each year like little sunflowers in abundance in our yard! I do so enjoy your blog and “your abundance” of talents! Peonies, with their explosion of color and vitality do it for me! But, like with your children, do you really have a favorite?! ;) Thank you for your beautiful blog, it’s a joy to read and find inspiration. What a great apron with its cell phone pocket! I have always been fond of larkspur because it doesn’t mind our arid climate and reseeds itself so prolifically. It grows happily in the decomposed granite next to almost any other desert flower. In the unlikely event that I should win this apron, I would wear it while re-planting my garden beds post destruction caused by building mortared stone retaining walls. A wonderful crew is working away now, trying their best to keep most of my plants alive. I love my hydrangas! Southern girls can’t live without them. I look forward to your post so much….please keep it up for us want-a-bees! My favorite flower is Clematis. I do look forward to your posts. They are so enjoyable and informative. Many thanks for all that you do for our enjoyment. My favorite is 4 o’clocks … I love the evening fragrance that you smell starting around twilight … the fragrance drifts in the window and fill the porch area …. plus they re-seed themselves and go on for years … it was a favorite of 4 generations in my family … love your blog … have been coming here for years now … so much inspiration and learning and beauty I have found here … you’ve also made my holidays special for my family with your recipes! Thank You! I am a Follower and I always look forward to reading your posts. We have so much shade in our yard, my favorite gardening flowers are impatiens. I have pinned the picture of your potting shed and watering can setting on your little iron table on my Pinterest board! I love all your photos. They are gorgeous. My favorite flowers are hydrangea – although I have had limited success with growing them in my yard. Peony’s are by far my favorite. If only they could bloom all summer long. Pinned my fave picture. From your post to my Pinterest Board. Thank you for this fun opportunity. My favorite garden flower are roses. I remember being in the garden with my great grandmother and now that I am a grandmother I love being in the garden with Isabella. We planted a rose in her honor calling it the Isabella. I am partial to Columbines but I also love pansies and violas. I love all flowers and have gardens full of them because I am also partial to bees, butterflies and hummingbirds. One beautiful thing attracts another….I live in the Pacific Northwest….still chilly here. I’m also hoping that Mother Nature will get the “Winter’s Over” memo. I’m always loosing my tools in the gardens…I love the apron idea and the fact that they are so pretty is an added bonus. I pinned your chalkboard photo with the love of gardening is a seed once sown that never dies quote and a couple of the apron photos to my gardening board. I have many of your posts pinned…..thank you so much for such a great site and inspiration. 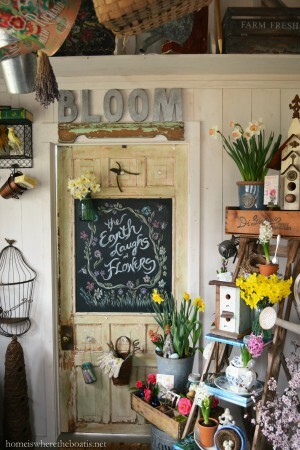 I need to find me a chalkboard for my potting shed….thanks for sharing. My favorite spring flower has to be the daffodil…usually the first one to a show up to say spring is here! I pinned the bunny apron picture…so cute!! I have loved portulaca since I was a child because of the variety of colors and how easy they are to grow. Such a beautiful post. I pinned your angel statue picture on my gardens board on Pinterest! I love red geraniums- also Shasta daisies! I pinned the picture of your lovely shed to my board “Potting Benches and Potting Sheds”. Love Love Love Peonies, Lilacs for a beautiful spring smell, and the crocus because it’s telling us the earth is waking up. LOVE my hydrangeas — Can’t wait for them to bloom! Gardening is my passion. Gardening is my life. I cant choose just one flower when there are so many beautiful ones to enjoy. Can you believe its still snowing here on Cape Cod? Bring on the sunshine! My favorite flower is the zinnia. I always plant them from seed. Love the colors and how long they last after cut. I even have a tattoo of one near my ankle. Oh my, hard to pick just one…..I guess I’d have to say, daffodils and tulips, which are also fans of the bunnies that frequent my yard! 💐🐰💐 🤷‍♀️ You make my day Mary, thank u! These aprons are so beautiful! My favorite flower is daffodils. I love sunflowers! Always have been my favorite and just brighten any garden! subscribed ! Thank you for the Chance! Pinned a photo from this post! Love your blog! I wanna be a winner! Fav flowers are geraniums, peonies and hydrangeas! Hydrangeas- especially my Lace cap Hydrangeas! They started from a small Easter plant, a gift from my daughter, 14 years ago. They flower all summer and into fall! I love the daffodils because they let me know spring is really here. They are so reliable. I love all flowers! My daughter’s wedding bouquet was peonies. My daughter -in-love’s bouquet is going to be sunflowers. My favorite flowers to grow are my heirloom hollyhocks, it’s always exciting to see what color is going to open up next! Thank God for flowers! Hi Mary! My favorite is magnolia they are beautiful and very fragrant! Thank you for sharing! Hand down, no other flowers need apply . . . my favorite flower in the garden are peonies!!! And I pinned the beautiful watering can photo! Thanks for the opportunity! Wow…what a great give-a-way!! Hydrangeas are my favorite garden flowers..all of them! Thank you for being an inspiration tor all of us!! Love your posts!! Blog & Facebook!! Hydrangeas are my favorite flower. It doesn’t matter whether the are pink, blue, white, lime green or a combination- they are all gorgeous! My favorite garden flowers are Lily of the Valley. They are early bloomers and bring fond memories of my childhood to mind. So difficult to choose a favorite. I would say peonies. I love, love the smell and they look so hardy. I love to pick them and put them in vases in my house. Such an old fashioned flower. My favorite flowers are Foxgloves ~ There’s just something so magical about them! Iris make my heart sing! My favorite flower has to be daylilies. Such a wide variety of colors and they are long lasting in the garden. from the time I could “help” big mamma and I planted sun flowers…and I was amazed that they soon were higher then me in a very short time…and the flowers followed the sun….bigger then anything I could compare the big ole yellow blossom to..today…and twice a month I buy sunflowers to bring home and put them in a cobalt blue vase…and never have I gotten tired of my childhood flower…. I love gardenias, they are so fragrant! I have always been a hydrangea girl. Every variety has a beauty of it’s own. Love your page. We too have a garden and a sailboat and look forward to enjoying both soon. I enjoy the beauty of all flowers and plants but I do love the Tea Rose. These photos are just loverly my dream garden. Gardening rejuvenates my soul. Wearing this beautiful apron would add to that joy. Thank you for the chance. These photos are just loverly my dream garden. Gardening rejuvenates my soul. Wearing this beautiful apron would add to that joy. Thank you for the chance. My favorite flower is zinnias. I love all the different types and bright colors. My favorite are hydrangeas. I absolutely love them and the big clusters of pretty flowers. They were also my grandma’s favorite as well! Perfect give-a-way Mary for getting us ready to work in our gardens. So sweet of you. One of my favorite flowers are those produced by lime light hydrangea. There are so many, it’s hard to choose. But I suppose that one flower in particular, evokes such delight whenever it’s in bloom. For me, that flower is the glorious Camelia. Thanks for this beautiful post! Cute aprons! I love peonies! they are my favourite flowers ever. My favorite is Wild Bergamot. Not only are they beautiful, but their scent is just as beautiful. Also there are many uses for Bergamot.